"Wickedness is a myth invented by good people to account for the curious attractiveness of others." 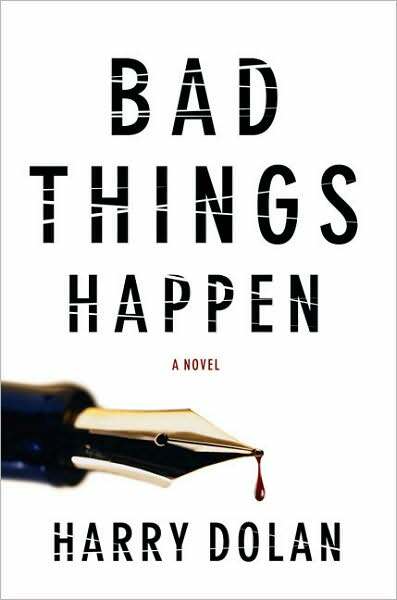 Harry Dolan's terrific debut novel, Bad Things Happen, is an old fashioned kind of mystery, a true whodunit for today's savvy readers, but with its roots steeped in the noir tradition. It's witty, fast paced, and offers dialogue that's clever without being corny. It begins as the enigmatic protagonist, described as "the man who now calls himself David Loogan" arrives in Ann Arbor, Michigan, and lands a job as an editor for Gray Streets, a mystery magazine. When Tom Kristoll, the publisher, is murdered, Police Detective Elizabeth Waishkey suspects Loogan. But Loogan and Tom's wife Laura were in bed together at the time of the murder and they alibi each other. 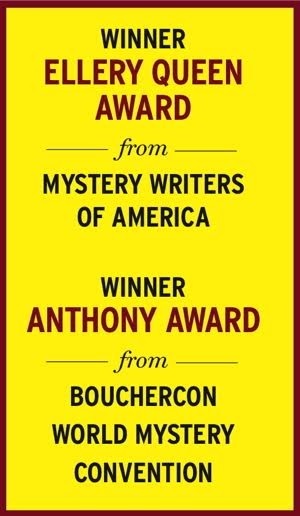 Waishkey must now look at suspects among the magazine's authors, a group skillful in the art of (fictional) murder, and who might kill for real to get a bestseller. David and Elizabeth, who warily trust each other, alternate as adversaries and allies in a search for the killer. The plot twists and turns as more murders occur, lies are revealed, hidden pasts uncovered, and greed exposed. Reality becomes jumbled with fiction as new murders resemble plots from the suspect authors' published works. It's impossible to guess the killer's identity until the very end, but Dolan plays fair and never cheats on clues in this satisfying puzzle. The writing flows so smoothly it is hard to believe this is Dolan's maiden effort--an effort that should rank him with the very best. "Stick to the alleybi. Nothing like an alleybi, nothing."